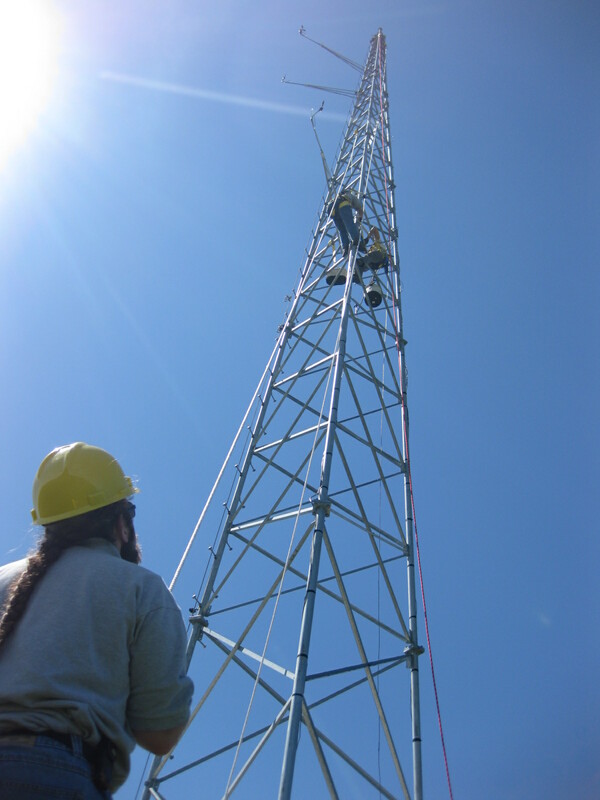 Cadmus staff install wind resource monitoring equipment on a wind turbine tower in Connecticut. Through this blog, Cadmus hopes to support communities exploring renewable energy. Our team of renewable energy experts has provided Owner’s Agent technical assistance to more than 40 municipalities in Massachusetts alone. We work extensively with local governments and other public entities on project concept, site and resource assessments, technical and financial feasibility studies, bid document preparation, bid evaluation support, contract negotiations and management, design reviews, and system inspections. On behalf of clients such as MassCEC and NYSERDA, Cadmus has completed hundreds of technical design reviews, site assessments, and post-installation inspections of solar PV and wind energy systems. These reviews include resource assessment, siting, compliance with applicable codes and standards, and application of best design practices to ensure the continued optimal operation of publicly funded renewable energy projects. Click here for a summary of Cadmus’ technical assistance services for renewable energy projects. Cadmus is a U.S. EPA Green Power Partner, a U.S. EPA / DOT Best Workplaces for Commuters partner, and a pledge driver for the annual Change the World, Start with ENERGY STAR campaign sponsored by EPA. We follow recommended procurement practices under the EPA’s Comprehensive Guideline for Procurement of Products Containing Recovered Materials and the Recovered Materials Advisory Notices. In addition, we participate in many national and local efforts to improve our communities and the environment. My understanding is that 5-year S-REC strips are the best any developer can obtain currently for Mass solar projects. Considering 10 to 20-yr strips are needed to satisfy risk adverse investors, what do you see as the solution to getting the S-REC revenue stream problem solved, and solar projects moving again in Mass? Any new policy changes on the horizon? Do you think Mass will start to move toward a feed in tariff like Long Island is doing?